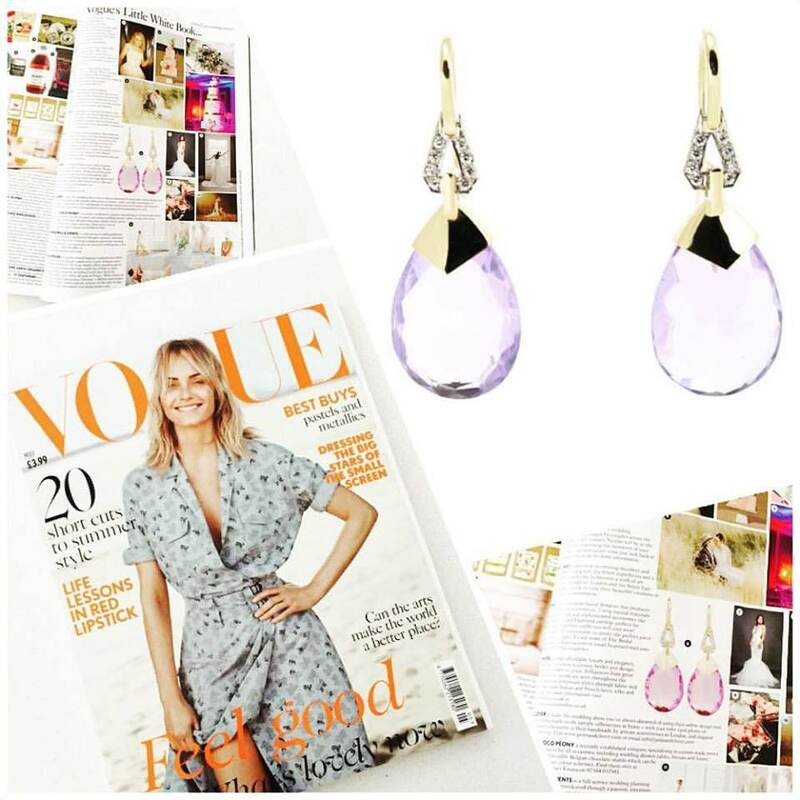 As seen in UK Vogue these earrings are inspiredﾠby the legendary beauty of Olympus goddess. 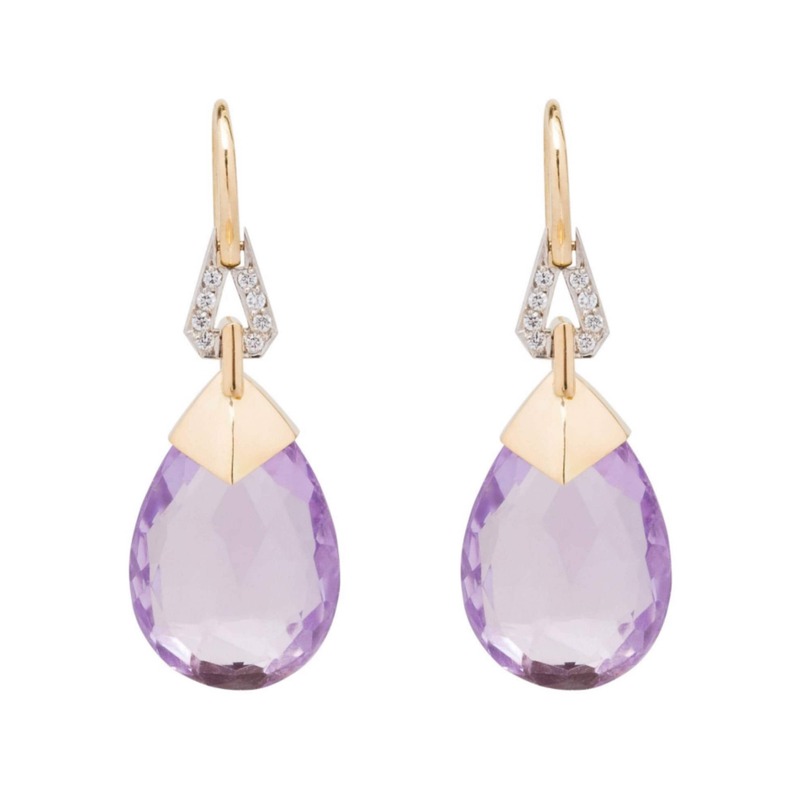 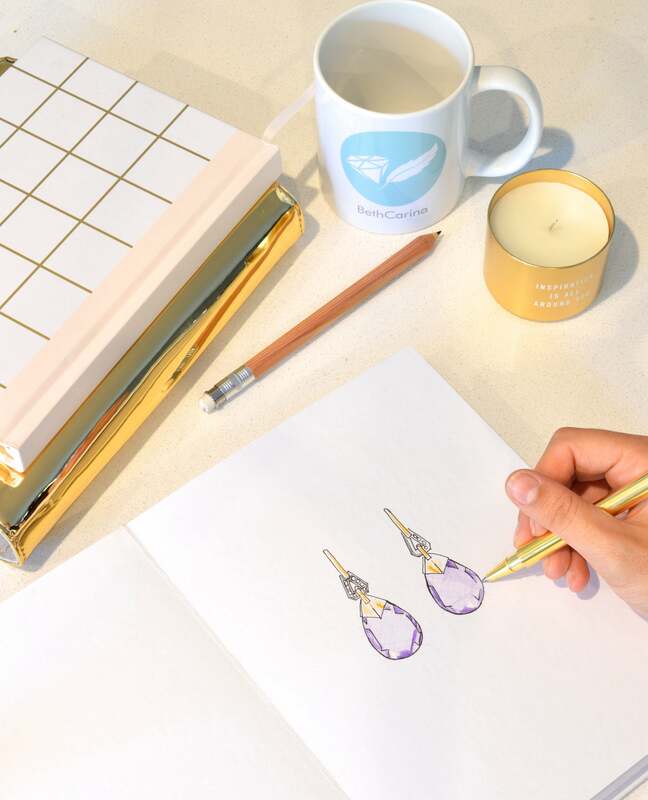 Lavender Goddess has classic elegance. 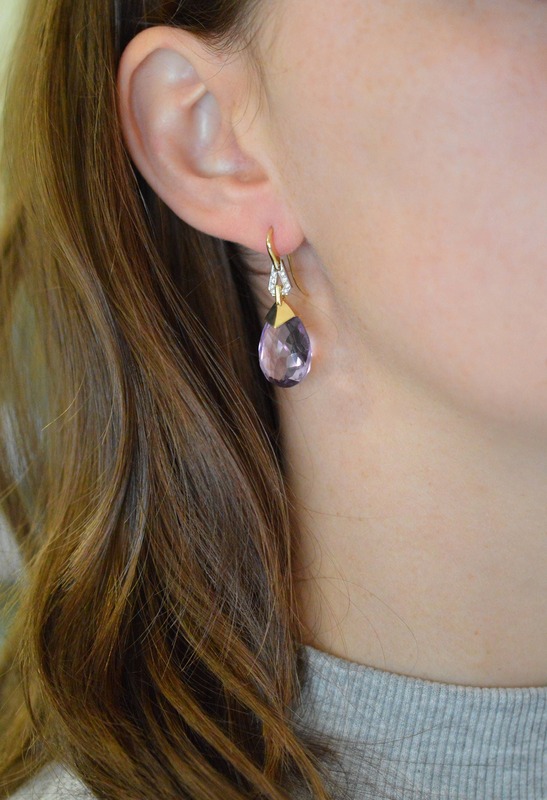 These earrings will add that extra confidence on your special day. 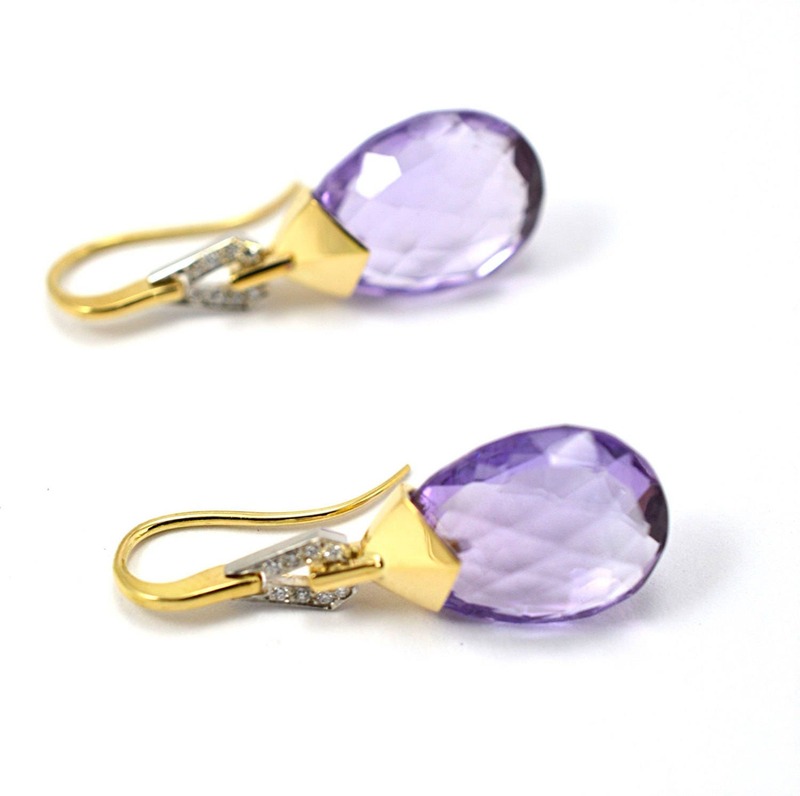 From the Bridal collection they are made out of 18kt Yellow Gold, Platinum, Diamond and Amethyst.